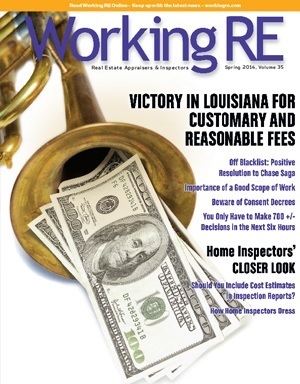 Find these articles in the new edition of Working RE. OREP insureds enjoy the print magazine included with their member benefits. • Should You Include Cost Estimates in Inspection Reports? Click here to subscribe now. Subscription includes guarantee delivery of each print magazine, access to the Working RE Library online and discounts on webinars, continuing education and much more. Click to learn more.